Address: Shop 109, 1/F, Fortune City One, 1 Ngan Shing St.
Cha chaan teng (lit. : tea restaurant) meaning tea restaurant, is commonly found in Greater China, including particularly Hong Kong, Macau, Taiwan and parts of Guangdong. 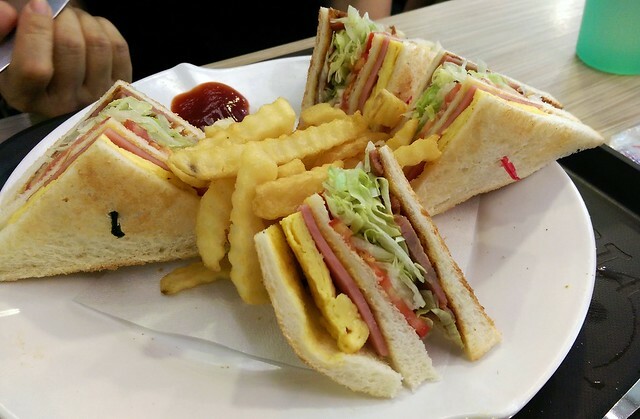 They are known for eclectic and affordable menus, which include many dishes from Hong Kong cuisine and Hong Kong-style Western cuisine. Since the 1980s they can also be found in the Chinatown districts of many Western countries like Australia, Canada, United Kingdom, and the United States. 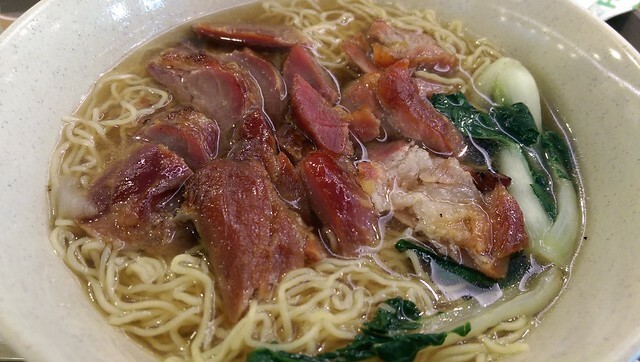 When visiting Hong Kong, you’ve gotta eat at cha chaan tengs as often as you can! I had breakfast at Tsui Wah this morning, before we made our way up to Sha Tin. We had afternoon tea at Fortune City One, a mall in Sha Tin. At this restaurant, orders are placed at the front counter and picked up at the window when your number is called. The dining area is self-seating and usually packed with several shared tables. 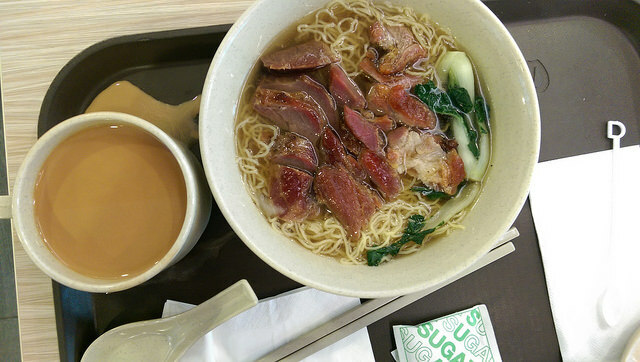 I had BBQ pork noodle soup w/ bok choy and stocking milk tea, while two friends shared a cold cut sandwich plate. I was perhaps too excited to eat, and spilled my milk tea…oops!